Where can I find more information on getting started with "IBM Operations Analytics"? The IBM Operations Analytics Community (http://developer.ibm.com/itoa/) provides Documentation, FAQs, How-tos, Videos and other resources to get started with our Operations Analytics offerings. How do I purchase IBM Operations Analytics? IBM Operations Analytics provides two main solution options: 1. 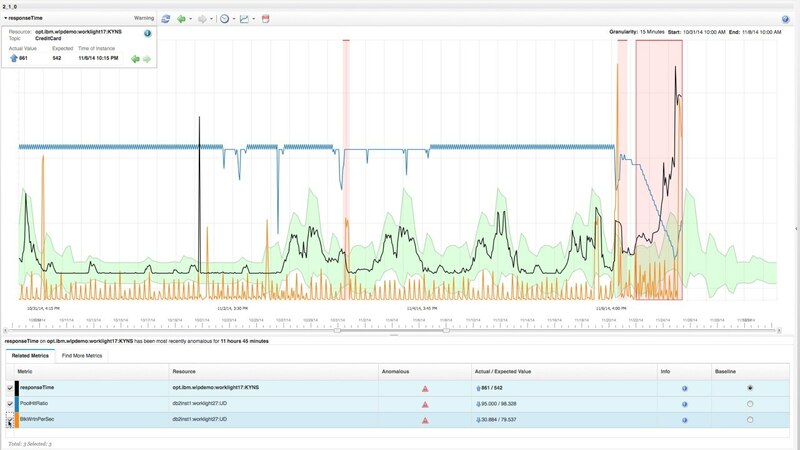 Predictive Insights: Avoid problems before business impacts 2 Log Analysis: Diagnose application & infrastructure issues. Buy IBM Operations Analytics Advance Insights which includes both, plus the IBM Service Desk Extension. What is the best option for obtaining Operational Analytics? We recommend IBM Operations Analytics Advance Insights that is licensed based on Managed Virtual Servers or Managed Virtual Network Devices. This includes the Predictive Insights, Log Analysis and Service Desk capabilities. Are there additional options and integrations for solution or environment support? IBM Operations Analytics provides additional extensions and integration packages for including solution data source and log content. Reference the ITO Community for available packages.